The delicious offerings from some of this year's cookbooks. Gentl & Hyers; oudie Kalla, Palestine on a Plate, Interlink, 2016, Ria Osbourne; Gestalten 2016. 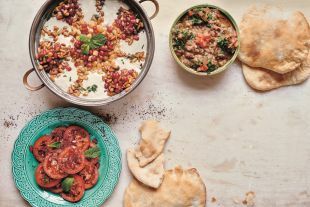 It’s been a good year for Israeli and Middle Eastern food lovers, with colorful, nuanced books that make these cuisines more accessible than ever. Given the flourishing U.S. interest in Israeli restaurants and food, it's only natural that home cooks might want to try and recreate some of their new favorites. Lucky for us, more Israeli cookbooks have been published, offering a more complete picture of this evolving young cuisine. It is equally exciting to finally see so many excellent Arab cookbooks as well. Colorful offerings make the foods of Palestine and Persia more accessible to readers, and put a more human face on Syria at a time when the country is making news due to the horrors going on there, and not the rich culture of its citizens. Meanwhile, one of my favorite new books this year, “Baladi: Four Seasons in Nazareth,” by Dokhol Safadi and Michal Waxman (Miskal, 2016), was published in Hebrew. 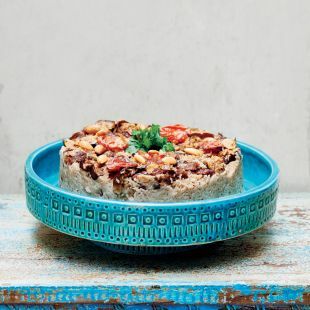 It covers the Arab cuisine of Nazareth, and alongside Laila El-Haddad and Maggie Schmitt’s “The Gaza Kitchen: A Palestinian Culinary Journey,” which just came out in a second edition, and Joudie Kalla’s “Palestine on a Plate” (see below), it gives a broad look into the many nuances of Pales-tinian cuisine. I would love to see it in English translation. Here are some of the year’s best new books. 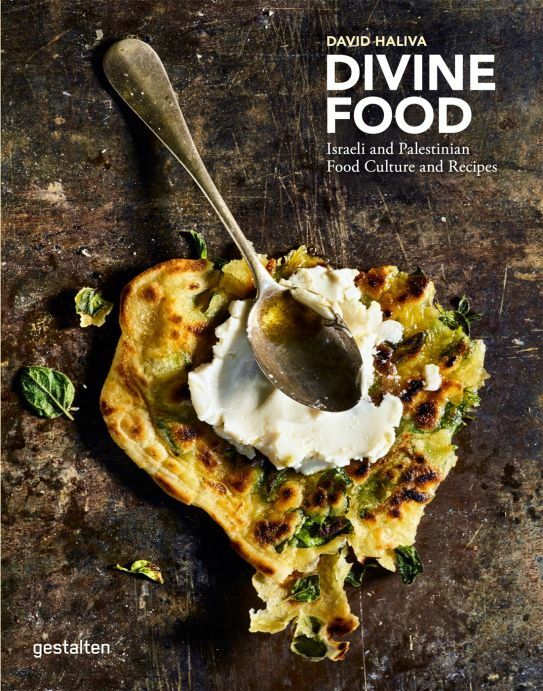 “Divine Food: Israeli and Palestinian Food Culture and Recipes,” by David Haliva (Gestal-ten, 2016) offers an excellent picture of the many nuances of the Israeli and Palestinian cuisines from north to south. The book is cleverly divided by regions - north, south, Tel Aviv and Jerusalem. Each chapter includes a detailed description of the region’s characteristics, the people making food, restaurants, and special ingredients. The book is filled with beautiful photos, mak-ing it an excellent coffee table book or a guide to Israel. 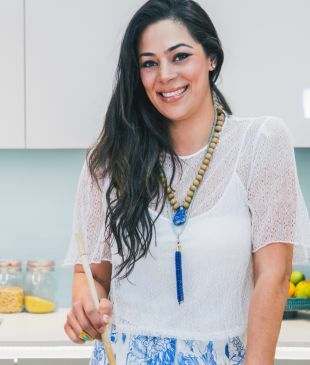 But you will want to keep it in your kitchen for recipes such as musakhan (roasted chicken with onion), raw beetroot carpaccio, grouper head soup with kreplach, roasted cauliflower and chickpea salad, and arugula and raw artichoke salad. “Breaking Breads: A New World of Israeli Baking,” by Uri Scheft (Artisan, 2016) has been frequently mentioned in “best cook-books of 2016” lists. The photos are beautiful and helpful, and the recipes are excellent and well explained, as one would expect from the creative mind behind Breads Bakery in Tel Aviv and New York City. I love that the title talks about “Israeli baking,” mainly because I think most American readers know Israeli food based on its strong Middle Eastern and Levantine foundation, and less about Israeli baking and its roots in Eastern Europe and Turkey. This book gives a fuller understanding of Israeli cuisine as a whole. 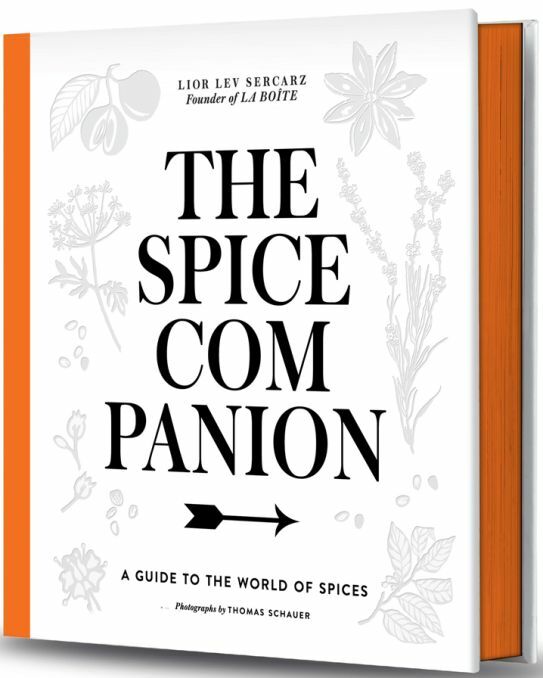 “The Spice Companion: A Guide to the World of Spice,” by Lior Lev Sercarz (Potter, 2016). While not a proper Israeli book, it is written by an Israeli spice maven, owner of the famed La Bote spice shop in New York City, and if you look close enough you’ll notice the Middle Eastern and Israeli background in the recipe choices (there’s even a whole roasted cauliflower in a spice mix – a riff on Israeli chef’s Eyal Shani’s now-famous technique). The book reviews spices from around the world, with beautiful illustrations and quick recipes that best suit people with some cooking experience who want to broaden their understanding of flavor building. "The Spice Companion". Penguin Random House LLC. 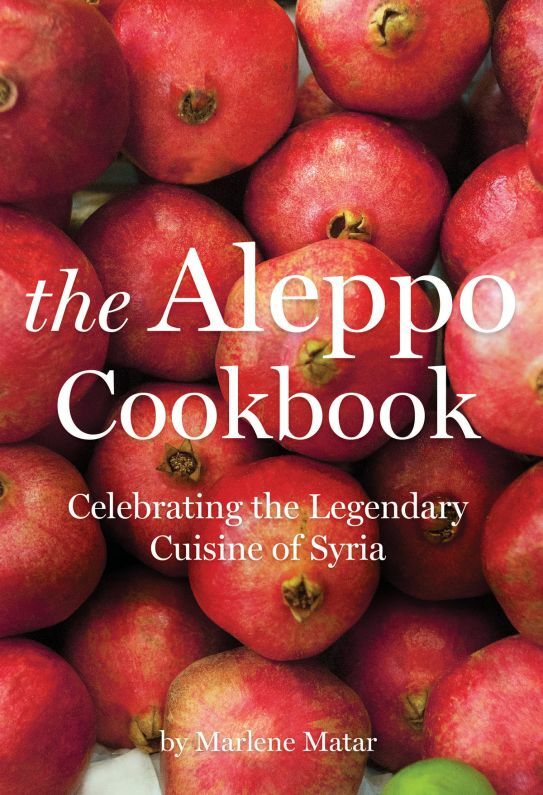 “The Aleppo Cookbook: Celebrating the Legendary Cuisine of Syria,” by Marlene Matar (Interlink Books, 2016) is a gorgeous, well-researched and exciting book written by Arab cuisine expert Marlene Matar, a resident of Lebanon. The book is true to its origin and doesn’t seem to be westernized. 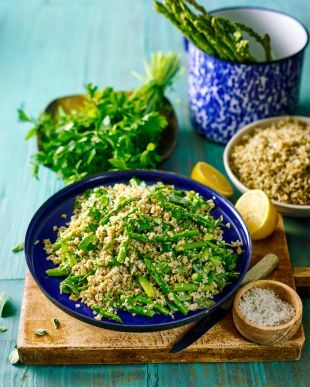 It includes ingredients like freekeh, kishk, arak, kataif and more, and recipes like stuffed lamb tongue and brain omelette (delicious!). Even though I suspect most people won’t actually prepare these recipes, they are an important part of painting the full picture of such a fascinating cuisine. There are plenty of recipes I’m going to make again and again, like meatballs in sour cherry sauce, stuffed zucchini in pomegranate molasses, and the fava bean stew. As Aleppo suffers beyond comprehension, this is one way to remember the people and their heritage. 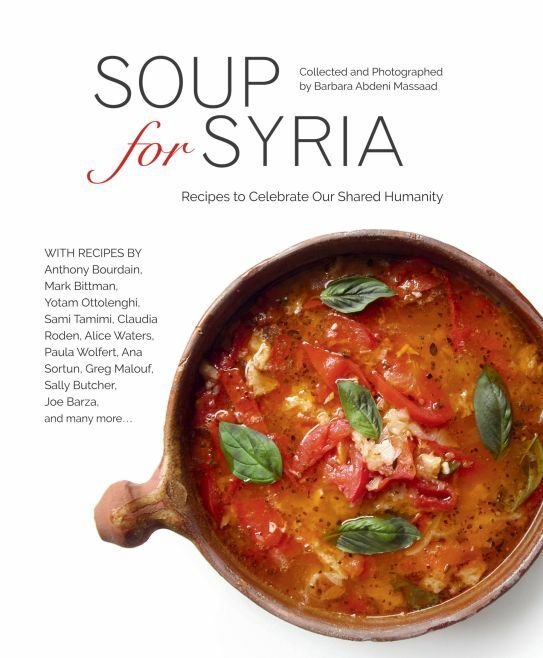 “Soup for Syria,” collected and photographed by Barbara Abdeni Massaad (Interlink Books, 2016). In a world that failed to do anything good for the people of Syria, this collection of hearty soups from celebrity chefs like Anthony Bourdain, Yotam Ottolenghi and Sami Tamimi, Alice Waters and many more, is an attempt to help Syrians, one soup bowl at a time: All profits are being donated to fund food relief efforts through the United Nations refugee agency. Many recipes are Middle Eastern inspired, such as Ottolenghi/Tamimi’s Persian-Jewish gondi (chickpea flour and chicken dumplings) soup, Sally Butcher’s Iranian pomegranate soup, and architect Aziz Hallaj’s Aleppo red lentil soup with verjuice. 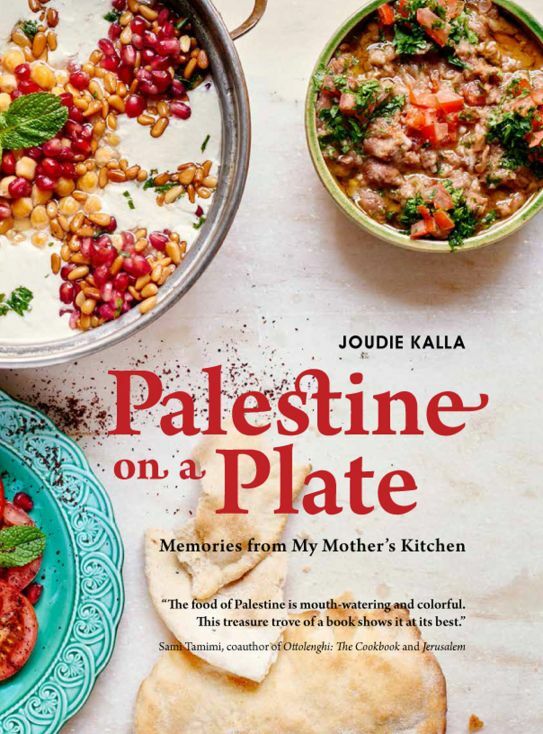 “Palestine on a Plate: Memories from my Mother’s Kitchen,” by Joudie Kalla (Interlink Books, 2016). This is a colorful, beautiful and fun book from a Palestinian food writer and creator of an app with the same name. Kalla offers a loving view of her country and her people, who too often appear in our news only in the context of the regional conflict. The book dives into Pal-estinian home cooking with recipes like ancient fava bean and jute mallow dip, stuffed vegeta-bles, sayyadiyeh (cumin and lemon cod with tahini tarator sauce), and, of course, makloubeh. 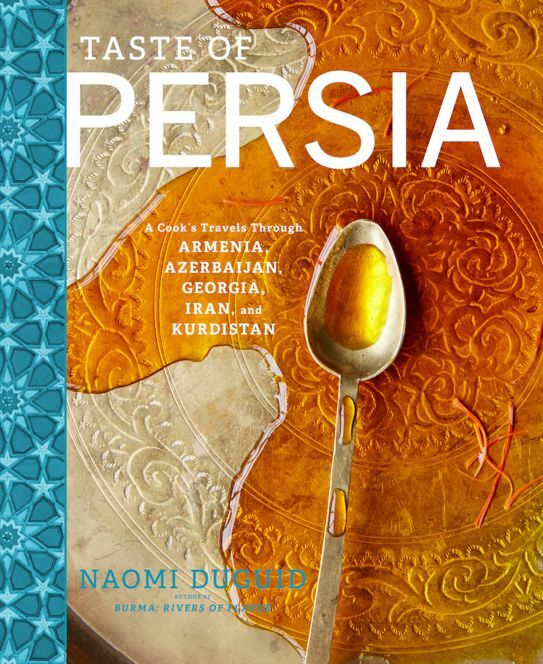 “Taste of Persia: A Cook’s Travels Through Armenia, Azerbaijan, Georgia, Iran and Kurdistan,” by Naomi Duguid (Artisan, 2016) is a thorough work of research, as the title suggests, into Persian cuisine, its origins and its many influences. Reading the book (and there’s a lot to read, beyond the recipes) and flipping through the many photos of Iran, you get a sense of not only the food of the country, but also its people and history. 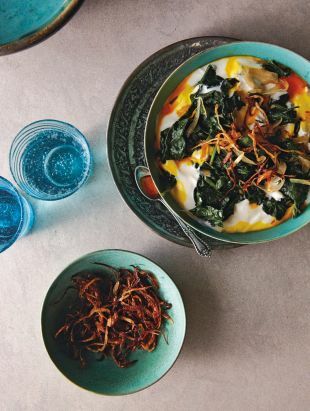 Recipes include dried apricot soup with wheat berries, the classic Persian green frittata, roasted fish with walnut paste and Georgian khachapuri (cheese-filled quick breads). Spinach Borani. 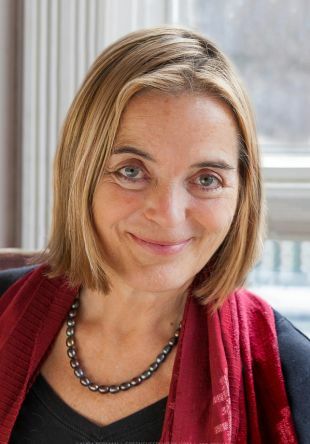 Excerpted from Taste of Persia by Naomi Duguid (Artisan Books). Copyright © 2016. Photograph by Gentl & Hyers. 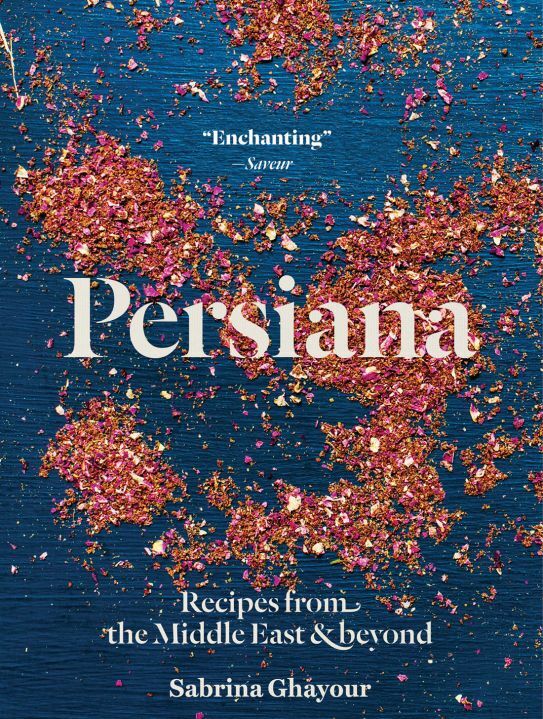 “Persiana: Recipes from the Middle East and Beyond,” by Sabrina Ghayour (Interlink Books, 2016) is yet another gorgeous book from Iranian-born British chef Ghayour. The book has been released in America after being a bestseller in the U.K. and winning several awards. Persiana offers interesting meat dishes, like Persian saffron chicken, fennel and barberry stew, and pomegranate soup with meatballs. 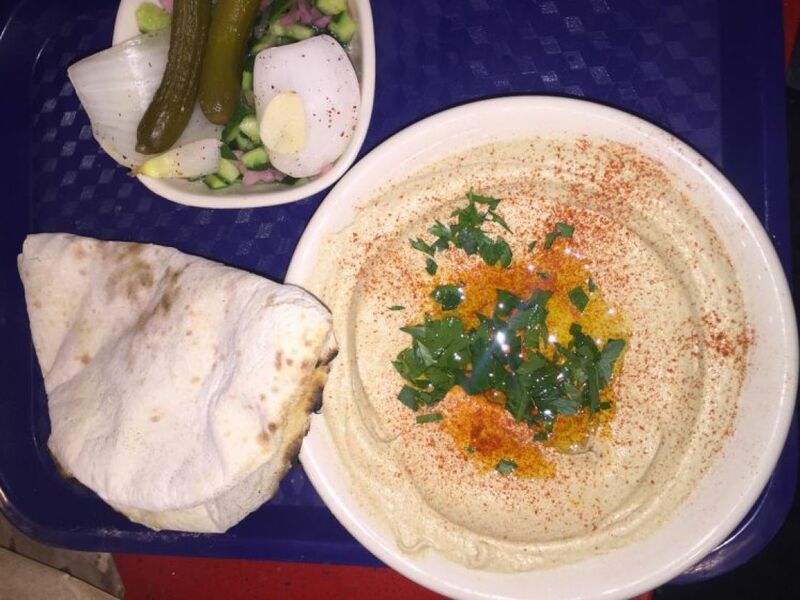 There’s also a strong emphasis on vegetables and grains, which for me are the real essence of Middle Eastern cuisine. Pistachio and feta dip, baked eggs with feta, harissa, tomato sauce and cilantro (shakshuka! ), and spiced root vegetable cakes with tamarind & date sauce all sound incredible, and the photos make them hard to resist. 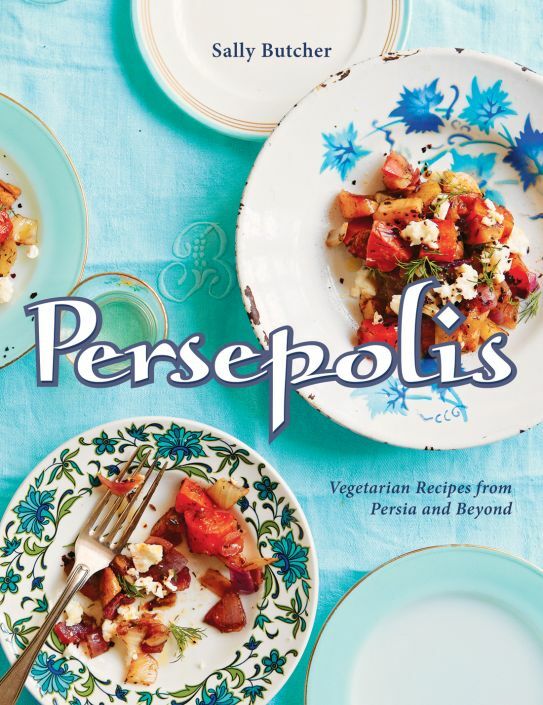 “Persepolis: Vegetarian Recipes from Persia and Beyond,” by Sally Butcher (Interlink, 2016) is filled with colorful new options for making your veggies, grains and legume in fun new ways, like sour cherry rice, Armenian cheesy rice and eggplant porridge with brown butter and cinnamon. 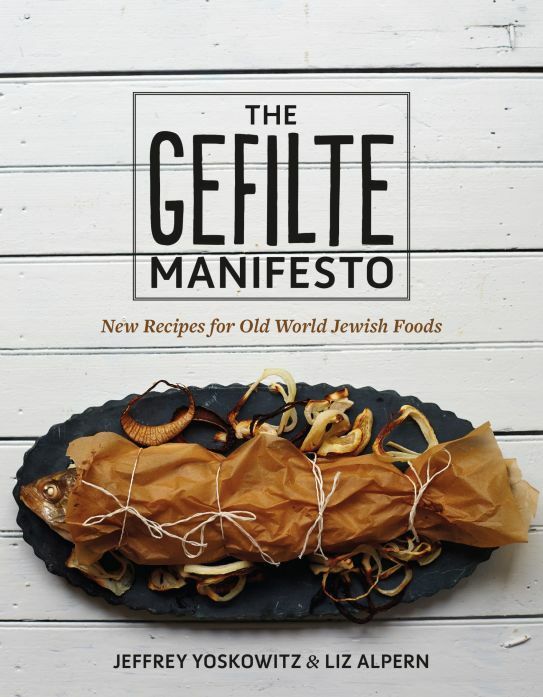 “The Gefilte Manifesto: New Recipes for Old World Jewish Foods,” by Jeffrey Yoskowitz and Liz Alpern (Flatiron Books, 2016). 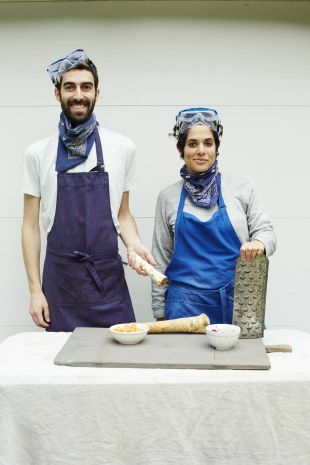 These young talented authors have led the trend of re-viving the Ashkenazi cuisine for a younger generation. Recipes such as Polish zurek (sour rye soup) and kimchi stuffed cabbage widen the Ashkenazi repertoire, but the classics are taken seriously too and include matzo balls, kreplach and eggs lokshen, and rye bread, bagel and bialy for the serious bakers. A really fun book. Want just a fun read with many food references? 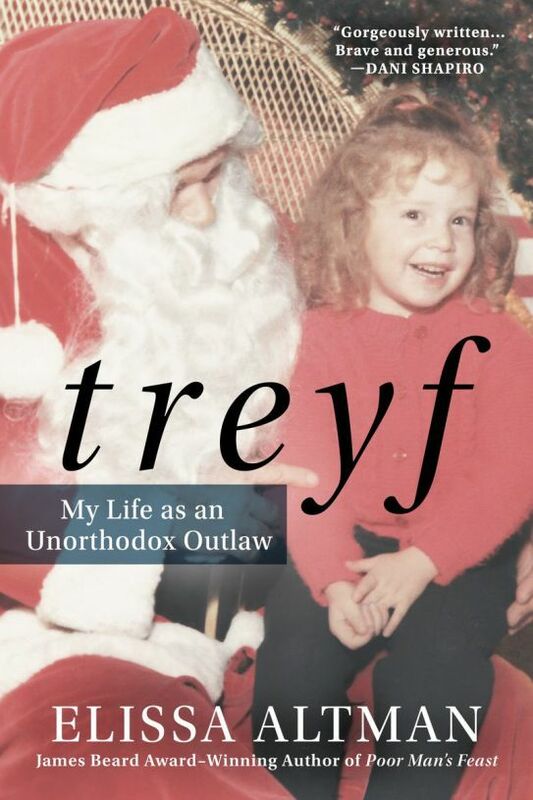 “Treyf: My Life as an Unorthodox Outlaw,” by Elissa Altman (New American Library, 2016) is just that. Perfect for the upcoming winter break.